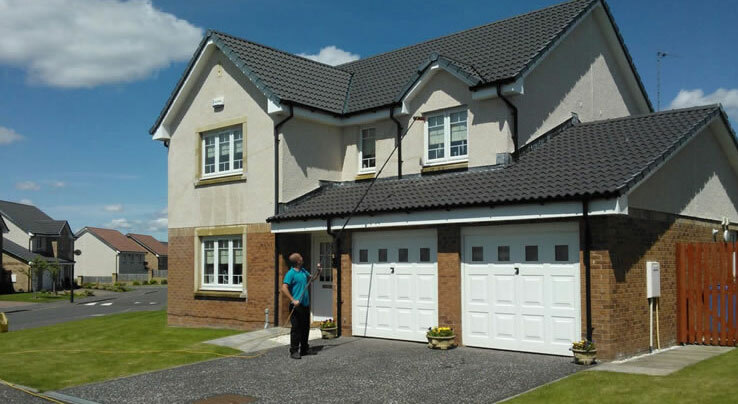 Many people get their windows and gutters cleaned, but fascias and soffits tend to get neglected. Getting your windows cleaned and leaving your fascias and soffits dirty is like cutting the grass and not trimming the edges. That’s where we can help. At Dazzle Window Cleaning we can efficiently and safely clean fascias and soffits on your home or business premises no problem. Cleaning them with give that lovely finishing touch that you don’t get with just a normal window clean. Also a regular clean will help maintain and prevent damage. Because we use cleaning poles that reach up to 60 feet, most work is carried out from the safety of the ground. No need for ladders, that means less risk of damage to your walls or flowers beds. The pole system uses a flow of water and soft bristle brush to remove dirt, algae and mold. Cleaning your fascias and soffits without the need for harmful chemicals. Contact us today for more info about our Fascia and Soffit Cleaning services. We are a Bristol based window cleaning company with years of experience ensuring a high standard whilst keeping costs low. We have full public and employer liability insurance, ensuring you are dealing with a professional business you can trust! We offer a quality cleaning service and competitive prices to business owners and a great personal service for domestic home cleans.